Does my drinking water at home contain lead? This is a good question to ask yourself, if you aren’t sure of the answer. How can I find out? 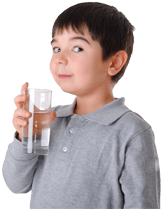 Start by calling your municipal water supplier. The EPA says between 10% -20% of our exposure to lead comes from contaminated water. Children are babies are most at risk. Babies can get between 40% and 60% of their exposure to lead by drinking formula mixed with contaminated water. Read more from CNN’s article, here.